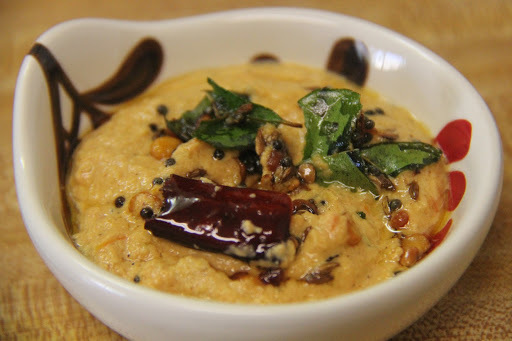 Growing up this chutney was my favorite accompaniment to dosas or idlis made with roasted peanuts and tomato. 1.Heat 1 teaspoon oil in a pan and roast the peanuts and keep aside. 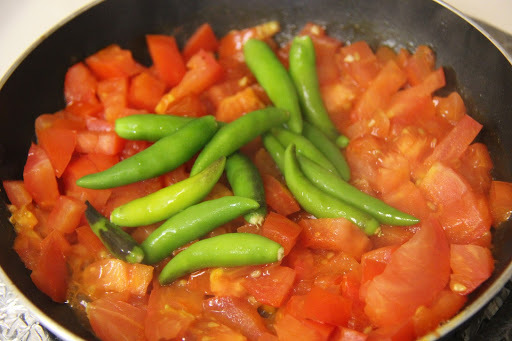 2.In the same pan add 1 teaspoon oil and roast the green chilies and tomatoes until they are soft. 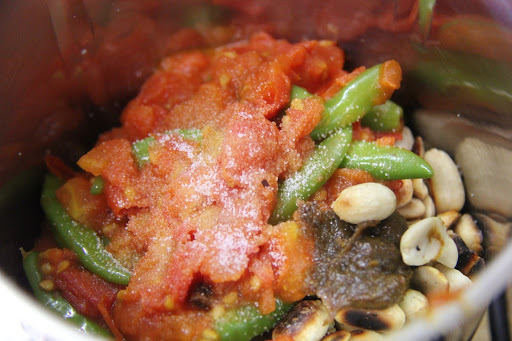 3.In a grinder jar take the roasted peanuts, tomato, green chilies, tamarind paste an salt and make a coarse-smooth paste. 4.In a pan add the remaining 2 teaspoons of oil, add the chana dal and urad dal and let brown lightly. 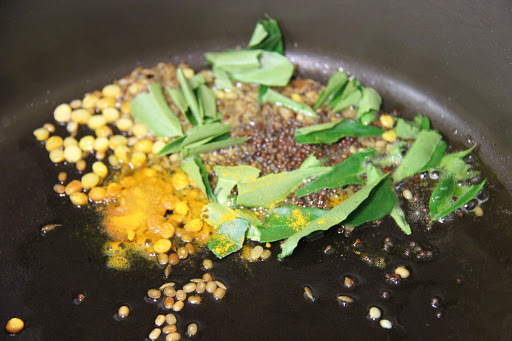 Add the mustard, cumin, turmeric and curry leaves and let them splutter. 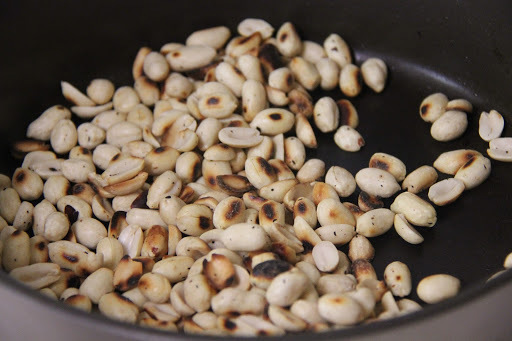 Turn off the stove and add them to the ground mixture of peanuts. This goes well with breakfast items like dosas or idlis.